Growing up was another story of its own, chained to the bed at 14 made me leave home for good that's when I started my walk with the devil, drugs were always beneath me, something I would never consider doing and one day for a reason unknown I decided to use meth. The story of my life is a great and long one indeed one that I'm not sure I could get through reliving but knowing how close to hell I was and Jesus reached down and saved me; gave me all the strength I needed to get sober. I'm not saying by any means it was easy, it was by far the hardest thing I have EVER done, but here I am trying to tell my story of survival hoping one day it might save just one. In the end of my addiction I shot up so much dope it's a miracle I am alive today, I have lost many life long friends to addiction the pain never seams to fade away. Everyday is a struggle and its been 9 years. The devil is working overtime to get me back but my faith in God keeps me here. There was no hope for me, I was the worst of the worst and I did it, if I can, ANYBODY can!! Thanks so very much for sharing your story of the hope you found in Jesus. I will pray that you continue follow Him and let Him help you to keep the devil away forever. I will be talking with a women tomorrow who is currently addicted to meth and using huge amounts every day. I will try to use your story to help her see that all is not lost and that there is always HOPE. I'm not sure what decision she is going to make but maybe she will see the light when she reads your story. 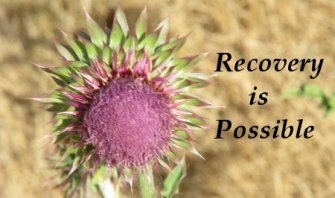 I'm hoping you're in a support group like Celebrate Recovery so that you can make new friends and experience the happy, joyous and free life you are meant to have. You are such an amazing woman and so happy to have had u in my life I miss u and think about you every day I will always love you!